Thanks for stopping by! Please take a look around to learn more about the happenings here at the Frei Ranch. 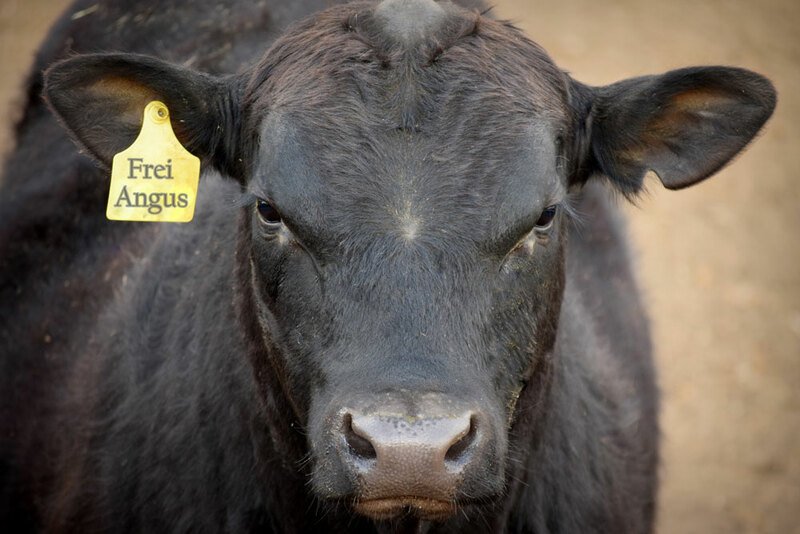 You’ll learn about our cattle operation, our family, and more. Reference Sires – We’re pleased with the offspring these sires have produced, and we know you will be too. Take a look around and let us know if you have any questions. Cow Herd – Our females are the foundation of our operation, raised with structure, conformation, fertility, efficiency and longevity in mind. If they don’t make the cut we do’t keep them around. Since 2006, we’ve been selling bulls by private treaty and we have another nice herd of bulls for sale this year. Check out this year’s offering here. We are continually working to diversify our operation, so we’ve got more to offer you. We custom feed and background cattle, and we offer heifer-development services. You’re welcome to visit the ranch anytime to see the cattle, meet our family, and try some of our beef. Our ranch is located 30 miles southwest of Faith or 25 miles northeast of Enning. Contact us for directions.